The Fifth Amendment packs a lot of rights into one paragraph; Grand Juries, double jeopardy, self-incrimination, right to due process and forfeiture of private property are all covered. We, as the public, are probably most aware of "Taking the Fifth" beloved of politicians and arch criminals alike. The idea of a person having the right not to be a witness against themselves has a very long history starting with Judaic law. That history is traced here traversing the middle ages and oath taking, the Inquisition, church courts and double jeopardy, the contest between common law and ecclesiastical courts, its use and abuse in Tudor and Jacobean England and, finally, its interpretation in colonial America. All of this history and law informed James Madison when he drafted the Fifth Amendment and Robert McWhirter here recounts that long arc and its influence. This lively account is written for the interested citizen, as well as the civics student and there are surprising, and interesting, diversions into the way the events and personalities surrounding the Fifth Amendment have appeared in literature, film, sports and popular culture. 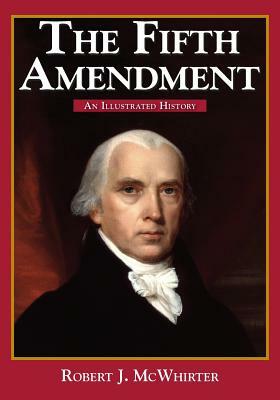 This book was originally published as chapter five of Bills, Quills, and Stills: An Annotated, Illustrated, and Illuminated History of the Bill of Rights.